Power when you need it most! Weather in the Midwest can change in a heartbeat, and it can affect your life and have a devastating affect on your business. If you’ve lived in the Quad Cities area even for a short time, you know ice, wind, tornadoes and floods can leave your family or business without power for days on end. Now, you can keep your home or business operating with a backup power generator. 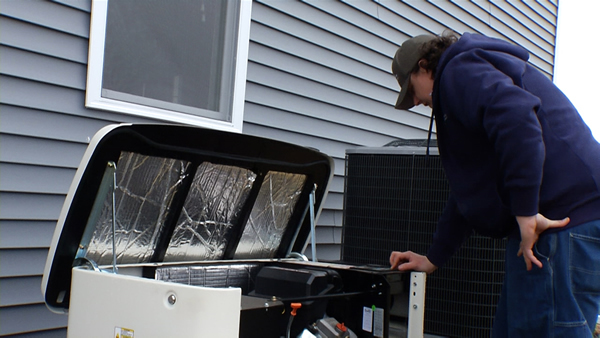 Doug’s can help you select the right Generac generator for your power usage at home or at work. We service what we sell as well, so take control and contact us before the unexpected leaves you in the dark. Don’t let storms keep you in the dark.